Review Summary: Sheeran's soothing voice and occasionally obvious acoustic chops can't make up for predictable music and cringe-making lyricism. Something that really annoys me about music today is waste of talent and potential, and it's no secret that it seems to be alive and well in today's music industry. To be fair, about 80% of this isn't the musician's fault; when a musician as bright and talented as Sheeran get signed, they're usually handed to some eight producers who either let the artist have too much control, or most times, have more control than the artists themselves. Thankfully Ed Sheeran managed to avoid this by having the majority of the album handled by one producer (Jake Gosling), with occasional appearances by hip-hop producer No I.D. every now and then. Problem is, even that isn't enough to mask the blatant waste of potential that is loud and clear on +. Sheeran was previously known for his electronic productions, and his previous E.P. wowed audiences who heard this then-unknown composition. Barely a year later, Sheeran made his commercial breakthrough with +, his first full length album, and admit it, you were hooked when you heard "The A-Team". A relatively minimalist song that still had tons of spark, insightful lyrics about a prostitute, and that soft voice that made the song such a thrill. However, something that kills most debut albums from up-and-comers lurks in this album: predictability. "The A-Team" is a perfect indicator of what's to come, and that's a problem. If you've heard his previous effort No. 5 Collaborations Project, it's very well clear that he's capable of so much more than featured on this album. Some of his knack for experimentation and fusion of genres makes it onto the LP, with some hip-hop elements showing up every now and them, but for the most part, you can tell where the album will go, with the songs sounding all too familiar (which became more apparent with each listen of The Civil Wars' eponymous effort). Because I've never owned a Blu-ray, true say"
The sheer notion that anyone would backpedal on technology notwithstanding, it's a shame that the majority of the lyrics in this album (including this) are as bad as they are, because there's some sparks of lyrical genius on this album- one in particular being "You Need Me, I Don't Need You", an excellent *** you to those who have ever doubted he'd be successful in music one day. And he does it in a tongue-in-cheek way too. And it really is a shame that this album is not better than it is, because none of the songs are particularly bad. Some really excellent acoustic guitar work show up in a lot of the tracks, and the moments where he dabbles in other genres are well done and tightly pulled off. 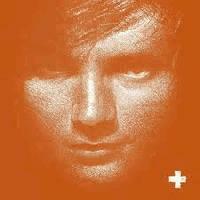 Sheeran's voice is especially refreshing in today's pop music that relies heavily on either autotune or oversinging. I mean, he's certainly no Bruce Dickinson or Freddie Mercury, but his soft voice shows that he is honest and is willing to let the songs speak for themselves. Problem is, as mentioned a lot of times in this review, the album is just too predictable to leave a lasting impression. And it's slightly worrying because here's a kid who had an E.P. showcasing so much potential, and a full length L.P. wasting the majority of it. And if Sheeran continues the rather disturbing thought of continuing down said path (the fact that Rick Rubin, a producer notorious for having more control than the artists, is attached speaks volumes), I fear that he's going to go down the same path he himself intends to avoid- being yet another talented but flash-in-the-pan pop artist. Perhaps this is why indie labels (and artists) seem like such a blessing nowadays. Really disappointing effort, I was expecting so much more. He isn't even that attractive, really. Not exactly uggo either. Just not all that OMGZ HEZ DAMN SEXAIII. I had to laugh in Bates Motel when The A-Team was used in the date scene. A prequel to Psycho where kids will be watching, lets use the tweeniest song ever! I actually really liked his interpretation of that song. I'm not the most attractive person either. It was better than Queen and Jessie J. At least Ed just sang the song like it is. Jessy J ugh, KICKING YOUR CAN ALL OVA THE PLAAAAYAAAAYAYAYAAAAAAAAAAAHHH WHAAAAAAOOOOOOOOO!!! !